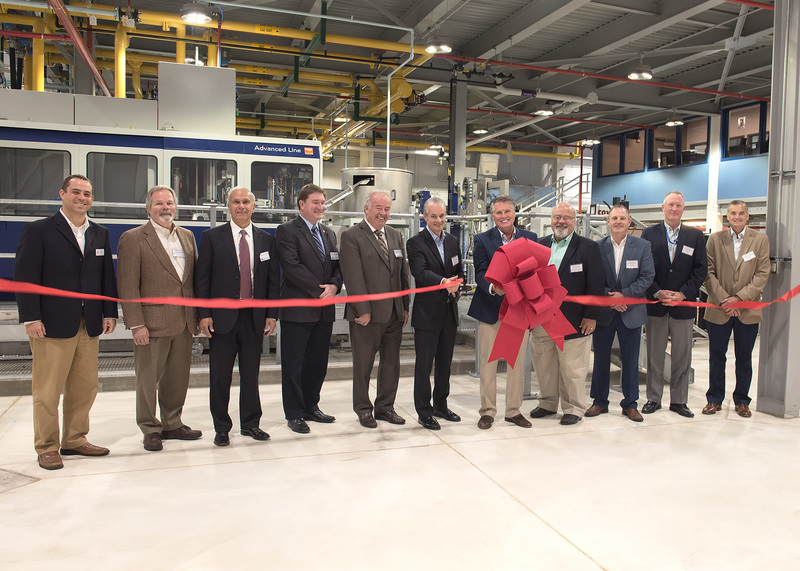 CLEVELAND, September 29, 2017 - The Lubrizol Corporation announces the opening today of a state-of-the art drumming facility and warehouse at its Painesville Township manufacturing facility, both of which are part of the company's previously announced phased investment at the site. The total $70 million investment better positions the company to meet the changing demands of customers and ensures the integrity and quality of its products while reinforcing personal and environmental safety. Construction on the 180,000 square feet combined buildings began in April 2015. With a focus on enhancing safety and business processes, the new buildings will be instrumental in reducing risk and achieving the company's business objectives of improving effectiveness, efficiency and consistency. "Historically, the Painesville Township site has been of great importance to our business, operating for more than 60 of the company's nearly 90 years," said Tom Curtis, incoming president of Lubrizol Additives. "This latest investment reinforces our commitment to the community by further ensuring the site as a key source in Lubrizol Additives' global supply chain." 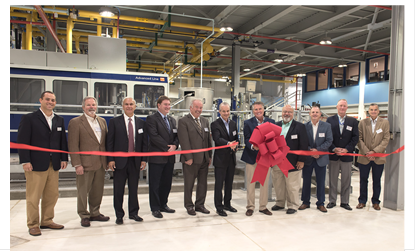 With more than half of all Lubrizol Additives products worldwide containing at least one component manufactured at the Painesville Township site, adding new manufacturing capacity and updated automated packaging capabilities was a necessity. Furthermore, these efforts are important to ensure product integrity and to improve the overall safety and efficiency of handling product drums and totes. "With our new drum filling facility, we will be able to improve safety by minimizing the manual packaging of drums, reducing packaging time for a single batch by more than 50% and minimizing the number of times a drum is handled by more than 70%," commented Craig Hupp, Lubrizol Painesville Township plant manager. "And, with 100% indoor storage provided by our new warehouse, we will improve the quality and appearance of packaged products delivered to our customers. All of these improvements will be a tremendous value to our overall organization." To commemorate the opening, earlier today Lake County Commissioners presented Lubrizol with a certificate of recognition followed by a formal ribbon cutting ceremony at the facility. In attendance were several of the Lake County Commissioners and Painesville Township Trustees, as well as representatives from Lake County Port Authority. Representatives from Lubrizol included Eric Schnur, chairman, president and chief executive officer; Tom Curtis, incoming president of Lubrizol Additives; Mark Sutherland, Lubrizol corporate vice president of global communications and public affairs; Mike Vaughn, Lubrizol corporate vice president, operations; Matt Joyce, vice president of Lubrizol Additives sales and marketing; and Craig Hupp, Lubrizol Painesville Township plant manager.